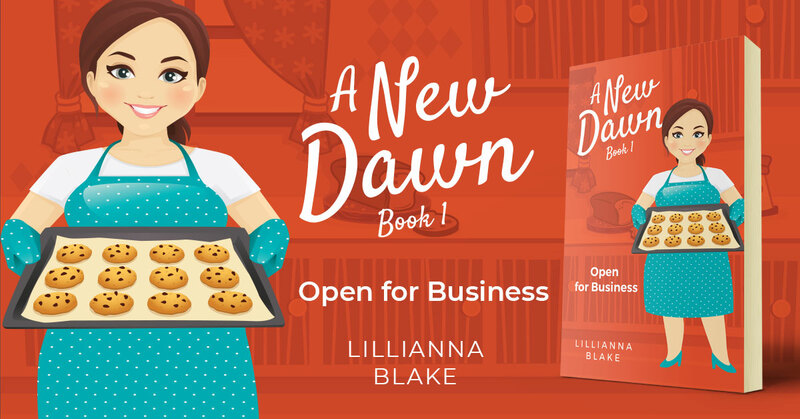 Open for Business is the first book in the A New Dawn Duology by Lillianna Blake. In two weeks, Dawn’s dream was coming true. She never thought she’d own her own bakery. She never thought her life could change in such a massive way. She’d even been losing weight and feeling more fit and capable then she’d felt in her life. Her friends had played a big part in helping to bolster her confidence. And then there was Garrett—her friend and soon-to-be employee at the bakery. Open for Business is the first book of the two book series, A New Dawn, a fun chick lit adventure that will leave you feeling entertained and inspired. If you love the books of Sophie Kinsella, Helen Fielding and Emily Giffin, you will love the A New Dawn series. Download Open for Business now and make yourself comfy, because you won’t put it down. This entry was posted in Showcase Spotlight and tagged A New Dawn, Lillianna Blake, Open for Business, The Bride Tribe, The Bride Tribe Diaries. Bookmark the permalink.